Back to the world of mundane travel; a quick trip to Lincoln Nebraska and back. Although I’m not 100% sure, I do believe that out of 26 years of traveling with my employer, this is the first time I’ve been to either Lincoln or Nebraska. In the realm of boring travel, this was the epitome of unexciting travel stories. Not much to note here; I checked-in with United Airlines on-line Monday night, and headed straight to security when I got to the airport. I didn’t have any luggage to check, I just brought my backpack and roll-aboard. I was through the TSAPre-check line and security in less than 2 minutes. CONSTRUCTION NOTICE: Note that from September 2017 through October 2018, there will be major construction at the Syracuse Hancock airport. The airport authority has just started a $45 million project where the road immediately in front of the airport will be closed. You can still park in the garage and the lots to either side of the airport. 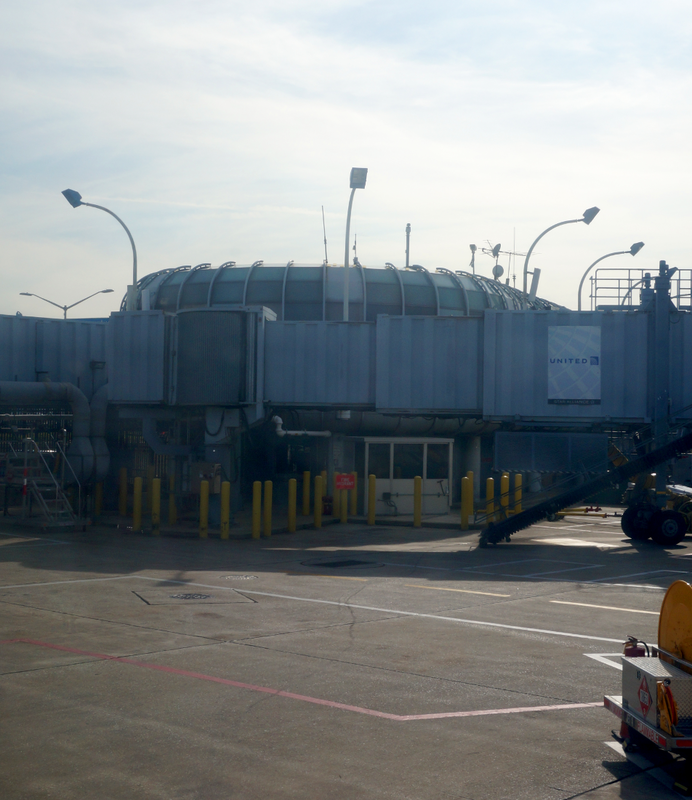 Syracuse NY (SYR) to Chicago (ORD) on United flight 5953 – CRJ 200, 604 miles. A beautiful day for flying. The service today was operated by SkyWest. The little regional jet (#N917SW) was full, and I was sitting in 9D on the right hand side. Not the worst way to fly, but cramped and noisy as all regional jets are. There was no wi-fi available on this flight, so passengers had to find their own ways to entertain themselves. Otherwise the flight was uneventful and relatively smooth. Chicago (ORD) to Lincoln NE (LNK) on United flight 4711 – Embraer ERJ-145, 464 miles, seat 20D. This flight left from a section of the O’Hare B concourse that I’ve never been to before . Hidden away from the main concourse is a mini-concourse where you’ll find gates B19 through B24. If you look at the map to the right, you’ll see that it was definitely an after thought that was added after the airport was built. You actually walk through two restaurants and a bar before you spot the gate area. I’d suggest avoiding this area if you can, but as passengers we have no choice there the airlines park their aircraft. In this case, ‘horrible’ is a pretty good description. The area is crowded (not enough chairs for the passengers on the respective flights), and it’s LOUD. The whole time I was there, gate agents were making announcements over each other and the PA system was rendering spoken language in to a unintelligible buzz. Keeping a close watch on the monitors was the only way to tell the status of your flight. 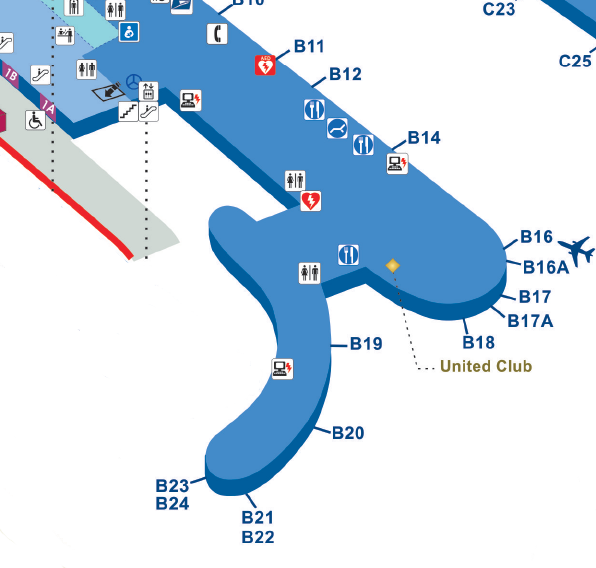 To make things a little more challenging, gates B21/B22 and B24/B24 each share the same doorway, and while loading multiple flights , it was extremely hard to tell which line you were supposed to be in. A general feeling of chaos was experienced by everyone. This flight was on an older Embraer-145 operated by Trans States Airlines, which it turns out only flies E-145 jets. No wi-fi was available on this flight. The flight was uneventful other than to mention that the seats on the flight had absolutely no lower lumbar support. Not sure who the designers had in mind when they crafted these seats, but humans wasn’t it. The Lincoln airport serves the greater Lincoln Nebraska area. It’s a smallish regional airport serviced by Delta (flights to and from Minneapolis and Atlanta) and United Airlines (flights to and from Chicago and Denver). The airport has four gates, 2 for Delta and 2 for United. The airport has free wireless internet access (no security) and the primary waiting areas are on the first floor outside security. The waiting area has relatively comfortable chairs and tables with 120V and USB power outlets for your mobile devices. There is a gift shop and restaurant outside of security. The restaurant serves pre-made sandwiches, salads and the like. Note that there are no shops inside security, so once you get to the gate area you will only have access to vending machine. There is no TSA-PreCheck line, so you’ll still need to remove your laptop and liquids for screening. Also note that you can’t purchase any water in the gate area and there are no water filling stations in the gate area. However there is free coffee, so it’s not totally uncivilized. The Lincoln airport has all of the national rental cars on site in the terminal building (National, Avis, Hertz, Budget, etc.) in the luggage return area. No matter your status, you have to stop at the rental desk to pick-up your keys (nothing like Emerald Isle is available). Cars are located across the street on the first level of the parking garage (less than a minute walk). After picking-up my rental car Nissan Rogue at National, I made the 10 minute drive to the historic Haymarket district of Lincoln to get to my hotel. The area consists of redeveloped warehouses and building that have been converted to lots of posh shops, apartments/condos and restaurants. There’s a lot of entertainment in walking distance of all of the hotels. First up, the parking situation it tight in this area, so park in front of the hotel to check-in, and they will give you a parking pass for the parking garage down the street. From the top floor of the garage, there is a skywalk to the 3rd floor of the hotel (use your room keycard for access). The hotel charges $15/day for parking. 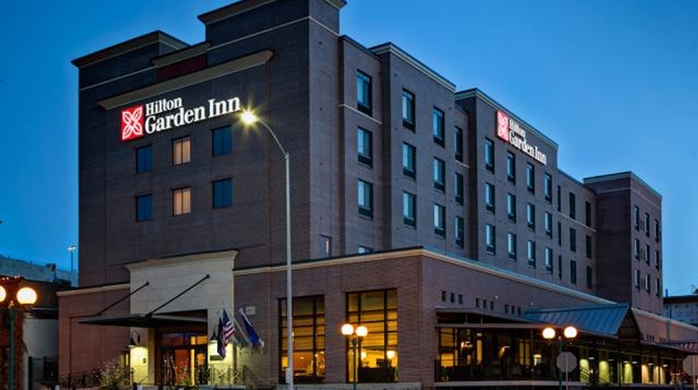 This hotel was fairly typical for a Hilton Garden. Check-in starts and 3:00 pm and checkout is at noon. The staff was friendly and the lobby had a sitting area with a restaurant/bar immediately adjacent. There’s a ‘business center’ on the first floor and fitness room on the lower level. The room could have been a carbon copy of almost any other Hilton Garden (which is good). Clean and well kept. I had a room with two queen beds, with a microwave, mini-frig, and single serve k-cup coffee maker. There were also plenty of outlets and USB power connections in the room. The bathroom had fluffy towels and the typical Neutrogena soap/shampoo/conditioner/lotion. The hotel has wi-fi throughout, but unfortunately there is no wired access available. The restaurant is on the first floor next to the lobby and serves breakfast and dinner. The restaurant/bar is open for dinner and drinks from 5:00 pm to 10:00 pm every night. Breakfast buffet was available in the morning with special orders available: $12.00 for the buffet. The business center consisted of a small room with a couple of computers a laser printer and a multi-purpose inkjet/scanner. I used the scanner to create PDFs of my audit notes. My first night in Lincoln I ate at the hotel: Caesar salad and a Sam Adams beer. It’s hard to get salad wrong. 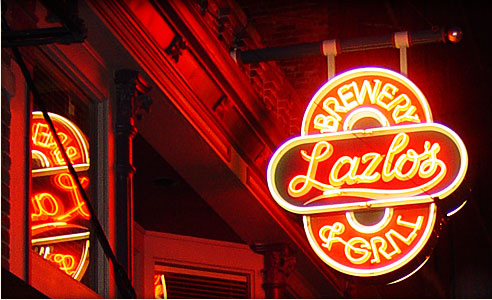 My second night in Lincoln I went to Lazlo’s Brewery and Grill, which was a couple of blocks from my hotel. They bill themselves as Nebraska’s first brewpub with two locations in Lincoln and one in Omaha. 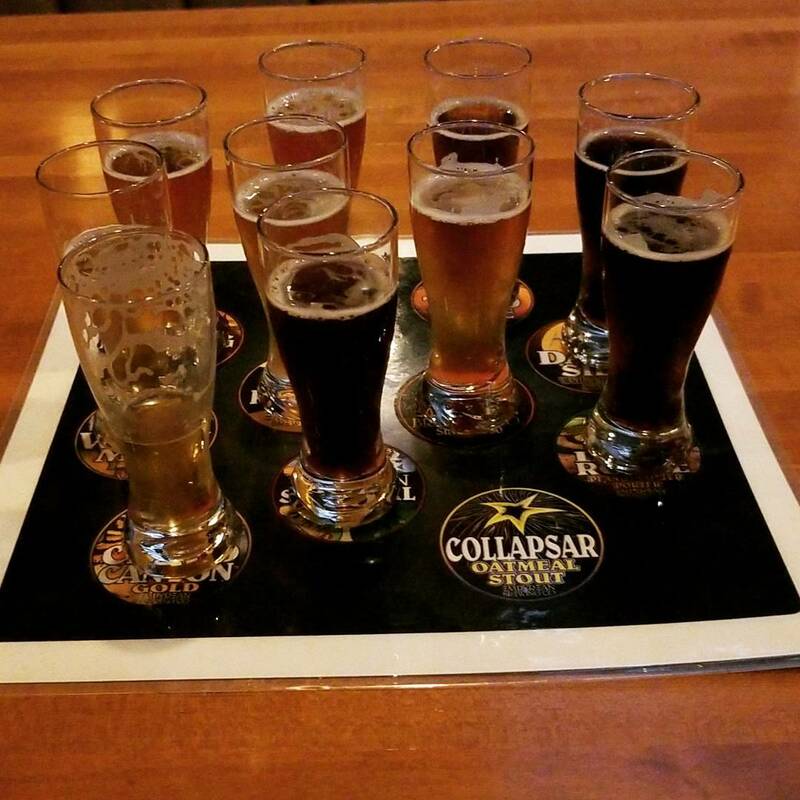 As always when visiting a new brewpub, I ordered the sampler, which had 10 different beers (see photo right). They were out of the oatmeal stout the night I was there, and their entire beer line-up, which includes 27 styles, can be found here. As shown in the photo, the samples ranged from the light such as the Kolsch, to a dark peanut butter porter, and included beers such as a Scotch Ale, and both a tangerine and a mango IPA. The hefe was probably the best beer of the line-up, but I didn’t find any of them to be particularly noteworthy. The peanut butter porter didn’t work for me at all, and after finishing with the samples, I wasn’t inclined to order a full pint of any of them. Dinner was (another) Caesar salad as the menu wasn’t terribly vegetarian friendly. Overall this restaurant was fine, but I wouldn’t go too far out of my way to visit it again. The trip back to Syracuse was pretty much the reverse of the trip out on Tuesday, including another trip through the B Concourse that time forgot (see above). The only difference was the flight from Chicago to Syracuse was aboard a United A319 instead of a regional jet. Lincoln NE (LNK) to Chicago O’Hare (ORD): United flight 4664– Embraer ERJ-145, operated by Trans States Airlines. 464 miles, seat 10D. This may have been the exact same jet I flew on to Lincoln on Tuesday; I got the feeling that it spends the day flying back and fourth to Chicago. Chicago O’Hare (CHI) to Syracuse NY (SYR): United Flight 1664 – Airbus A-319, 594 miles, seat 29A. Unlike my flight from Syracuse to Chicago on the ERJ-145, this flight was on a full sized plane that actually had room for carry-on luggage in the overhead compartments. The Airbus A319 is the little brother to the A320, and was relatively comfortable and quite. The flight was smooth and was able to take a few good shots of the sunset as we flew East to Syracuse. The outward bond leg of this trip put me over the the minimum number of flight legs to qualify for United Premier Silver status, with 30 flight legs for 2017, having already passes the required minimum spending of $3,000. My silver status will also carry over for 2018 too. It may seem surprising that I have any trouble hitting any of the advanced status with the various airline mileage programs, but my flights are generally split between United, Delta and American depending on where I’m headed, price, etc. 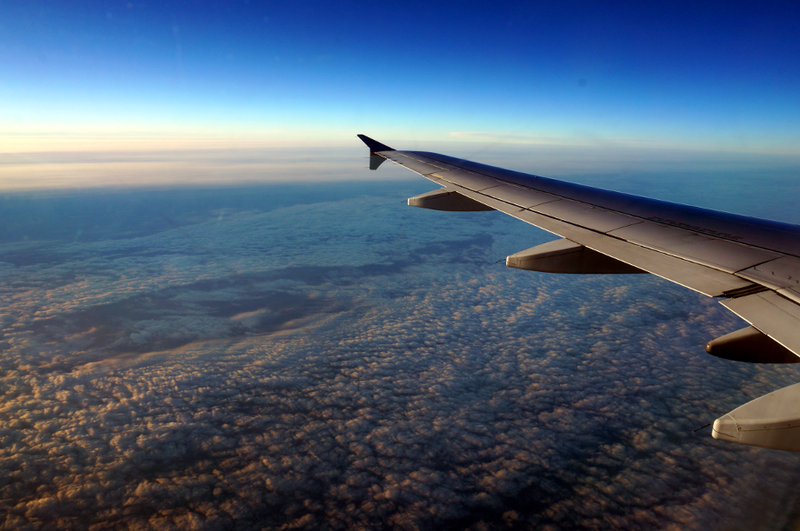 The biggest advantage with United is access to Economy Plus seating at no additional cost. These seats are in the front of the economy section and provide a little more cushion and leg room than the rest of economy.